Fully adjustable thigh rig with weapon holster and two submachine gun mag pouches. 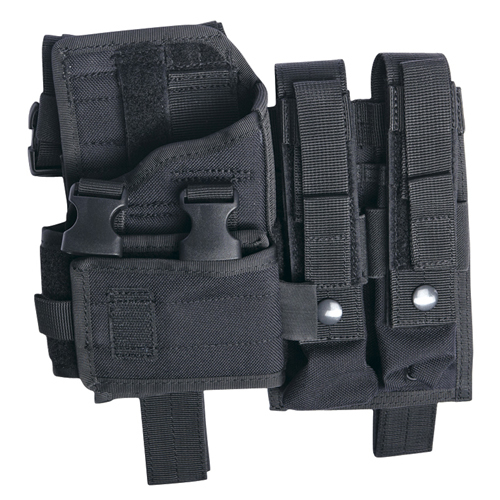 Equipped with an ingenious attachment system to add on any type of MOLLE pouches. The height strap lets you place the rig in the ideal position for fast access to your equipment. The side release buckles let you take it on and off quickly and easily. Specially designed for pistols with light/laser attachments or small submachine guns like the Scorpion, M11 or MP9.